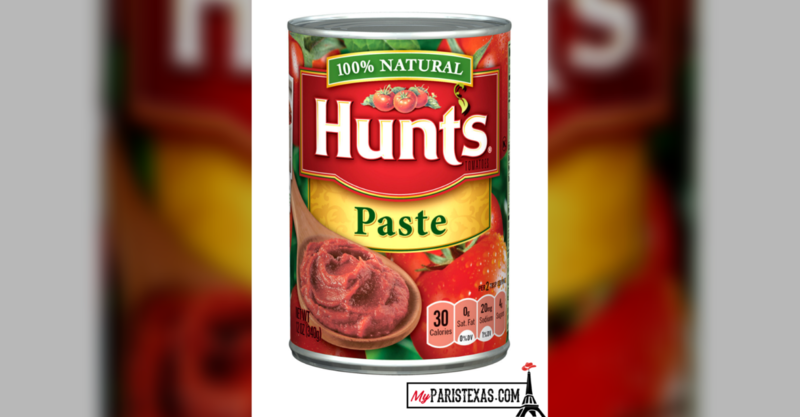 Conagra Brands issued a voluntary recall for six-ounce cans of Hunt’s Tomato Paste No Salt Added over mold concerns. The affected cans were only distributed in the United States and fall under the lot code 2105902510 with an expiration date of October 16, 2020. Conagra Brands has informed the FDA of this recall and is working with customers to ensure the impacted product is removed from store shelves and is no longer distributed. Consumers with questions should call our Conagra Brands Consumer Care team at 1-800-280-0301, open 9 a.m. through 5 p.m. ET, Monday through Friday or visit https://www.hunts.com.